Hongnian Zhang is an award-winning artist from China. Since his relocation to the United States, his work has been acquired by private and corporate collections and shown at the Grand Central Art Galleries in New York and at Harvard University. He teaches painting at the New York Academy of Art in New York City. Both he and his co-author Lois Woolley, a professional portrait painter, are on the faculty of the Woodstock School of Art in their hometown of Woodstock, New York, where they share their lives and a studio. Several books have recently been published applying ancient Eastern philosophy to painting, including Jeanne Carbonetti's The Tao of Watercolor (Watson-Guptill, 1998), which was very successful. The Chinese philosophy of yin and yang comprises a natural framework for creating art. With yin and yang, the world and in this case the world within a painting is seen in terms of the balance of opposites. Positive forces require negative forces, and energy is released by their balance. 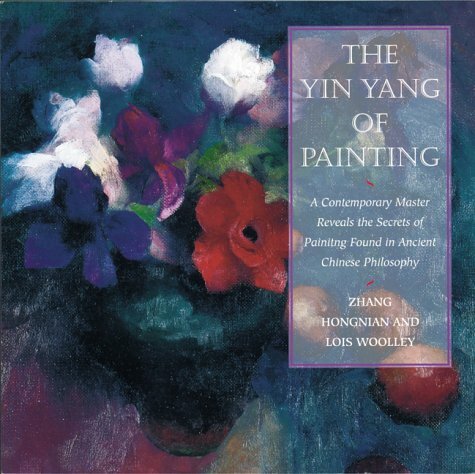 In this book, traditional elements of painting are related to yin/yang pairs, e.g., value relates to dark/light, composition to up/down, left/right, front/back, and big/little, color intensity to soft/strong, and so forth. Using a variety of styles and subject matter, the two painter/authors make a very convincing case for using yin and yang as a guiding principal and as a way of inspiring balanced yet highly energetic work.